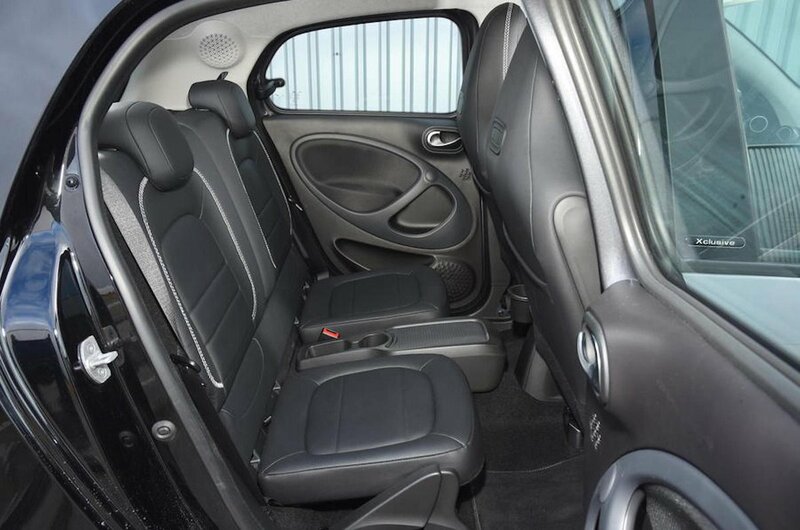 Smart Forfour Boot Space, Size, Seats | What Car? 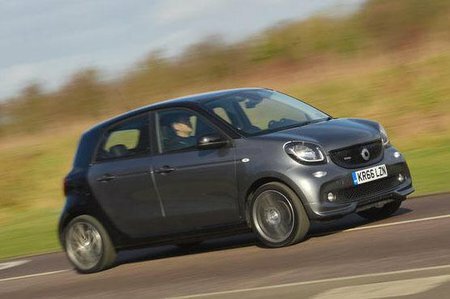 Getting in and out of the Smart’s front seats is easy thanks to the car’s wide-opening doors, large apertures and low sills. There’s a decent amount of leg room, while head room – even with the optional panoramic glass roof fitted – is generous enough for those over six-feet tall. Next to the gearlever are two cupholders, coin slots for some parking change and a recess for a pen. On higher trims you also get a glasses holder positioned above the driver’s head. What’s lacking are storage options for odds and ends, since the doorbins are too narrow and the glovebox is too small. All Smart Forfours have five doors, but access is tight because the apertures are narrow. There’s enough room for two average-sized adults in the back but with the panoramic glass roof fitted, head room is tight for anyone taller. 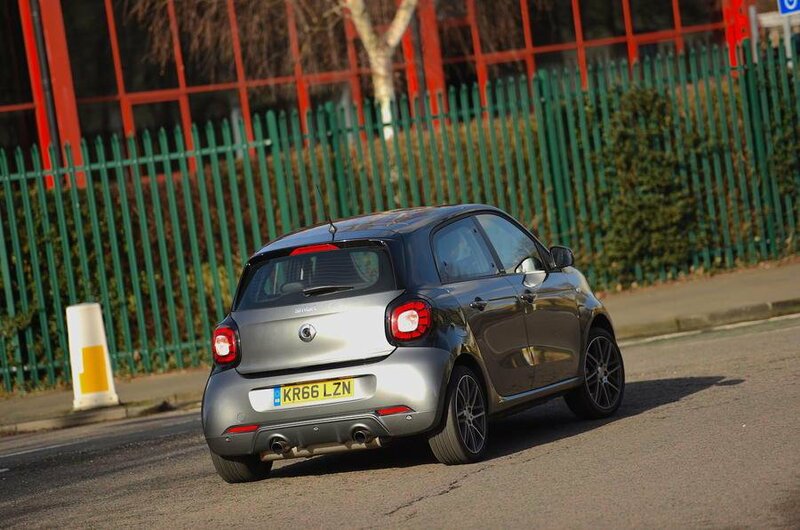 Like the VW Up, it’s strictly a two-seater in the rear, whereas the Hyundai i10 has enough space for a third person. In between the rear seats there’s a removable centre console that contains a storage cubby and two cupholders. You also get map pockets on the backs of the front seats and small doorbins. Rear-seat passengers also have access to the USB, aux and 12V sockets located at the rear of the front centre console. The front passenger seat doesn’t have a height adjuster, and like the driver’s seat, you can only change the angle of the backrest with an inefficient, ratcheted lever. Smart has clearly thought about the usability of the rear seats. You can flip over the bases and remove the rear centre console to create extra storage without needing to fold the rear seat backrests down. When you need more space, the backrests fold in a 50/50 fashion to leave a completely flat floor, unlike most rivals. There’s enough space with the rear seats in place for a few shopping bags, but both the Hyundai i10 and the VW Up offer at least an extra bag’s worth of carrying capacity. However, while it’s not the biggest boot, it is practical. There’s a wide aperture without a load lip – which makes loading bulky items easier – and lashing eyes to fix loose items in place. When you’re not carrying rear-seat passengers, you can tilt the backrests forward to create a squarer, more practical boot space. With the rear backrests folded down, you have a flat load deck, which means there’s no awkward step to contend with when packing bulky loads. It’s good that if you pick the Electric Drive model you do not sacrifice any boot space. The battery is stored under the seats so the capacity inside the boot remains the same, although you will need to carry a charging cable around with you.